First of all, you could quit your job. For many people, working is a burden. Imagine how you could spend your time if you did not have to work. Maybe you could volunteer your time at a hospital, school, church, or other place where you could help others live a happier life. Maybe you choose to continue working because you enjoy your job. This will only give you more of the PCH $10,000 a week to work with. You could use it to travel if that’s your wish. You could also use your winnings to help others live a better life. Imagine the smile you could put on someone’s face with a bag of groceries, paying their electric bill, or some other act of kindness. Another option would be to put the money into investments. This could help you grow your winnings so you could share them with your friends, family, the underprivileged, and more. Many people choose to purchase a new house, new car, and take a trip they have always dreamed about. Those are all great ways to spend your winnings. Helping others is also a great way to spread the wealth. 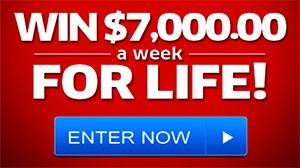 Entering and winning the PCH $10,000 a Week for Life Sweepstakes offers you many options. Your life will be drastically improved and many doors will be open to you, your family, and your friends. Start playing and start dreaming. Winning a large sum would mean my mother receiving a house with no stairs..she has health problems..my 4 grandchildren school fees/tuition and future college funds set up..I have faith been with pch for yrs.. I worried. In hospital Dec 23, cancer treatment, so I could not respond to the above day of awakening for #6900. What would I do with a new amount of money? As a retired teacher I have found my pension does not allow for me to pay off some of the medical bills. Thus resolve or absolve my guilt at not supporting the medical people helping me win a contest for life without illness. Ho Ho and that’s my game plan should I will this contest in some manner. Thanks for the chance. I live in Tenants Harbor, Maine. this would mean a new, a handicap vehtcal for my friend =, a great future for speal people in my life. I woul be vary appreciative of pch. I would take care of my needs, my family and friends’ needs and do what I could to make this a more just world for all. 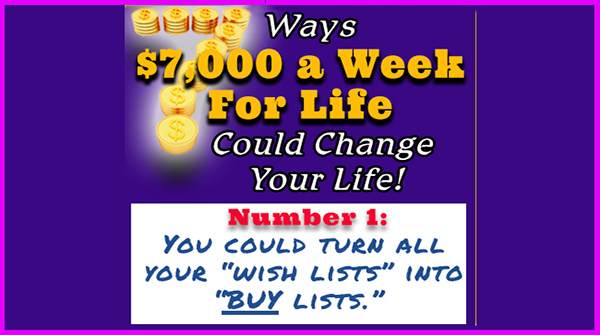 I would like to win $10,000.00 a week, $1,000,000.00 and …etc and change my life. I need to buy a house, pay my daughter’s college loan which is my nightmare.I also want to help my siblings, senior who doesn’t have children and donate to children’s hospital …etc Good luck to me and every body. dental work done. I would like to make sure that my children are financially secure,my grandchildren and great grand. my family, close friends who have been supportive to me and my family. several charitable organizations my thanks to all. If you haven’t been there then you don’t know what it’s like to be looked down on. I’ve had eight deaths in my family including two very good friends in the last two years. I am thankful for having Jesus in my life, my family life and the love that we share with one another. PCH GWY #’s 6900, not all in order, and just a few, #6085, 4650, 4651, 7233, 7679,7667,7600, 3577,8055. I am looking forward to helping a lot of people in need. Blessings to all participants. My Children, And Grandaughter, + I Would Be DEBIT Free. No More Worries…EVERYTHING WOULD BE OK!!! And That’s All I Ever Wanted, Is To Be OK!!!! Would to win $10,000 a week for life. No more worries. Just help my sisters. I could continue my education work on research along with invest the funds to grow and contribute the needs of the many though ingenuity allowed by eliminating funding restrictions I can’t do alone. Plus better my life and help a few along the way close to me. I AM ENTERING TO WIN THE PCH GWY NO. 6900, $10,000.00 A WEEK FOR LIFE. HOPING TO MAKE IT TO THE WINNERS LIST AND HAVE A CHANCE OF WINNING. I WOULD BENEFIT BY BEING ABLE RELAX AND HAVE SOME MONEY AS WE ARE BOTH RETIRED, TRY TO HELP OUR GRAND CHILDREN, AND GO OUT WHEN WE FEEL LIKE IT TO A NICE RESTAURANT. I AM UNABLE TO TRAVEL AS I CAN ONLY WALK SHORT DISTANCES. SO I HOPE AS EVERYBODY ELSE DOES THAT I WIN THE BIG PRIZE ON DEC. 23RD. 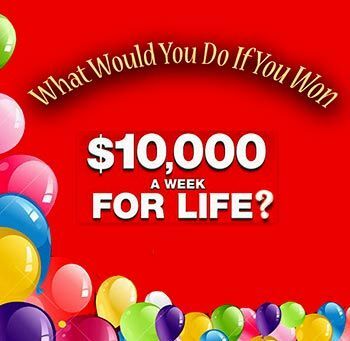 I would love to win $10,000.00 a week for life. yes to Todd Slone Iwant to enter activate and claim gwy 6900 for 10,000.00 and what ever comes with it . alsowould like to go for the exclusive access prize oppertunity gwy 8901 sure would be nice to win hopefully i will hope to see you Dec 23rd. would like to have a number put on the winners selection list for me please. thank you. the first 2 months and a half of the amount won would help pay the taxes and pay off my mortgage. This would definetley assist my retirement income. But, after that almost all the $ would be used to help any one in my community to not be homeless and to have food to eat;especially children and any one who is ill.And of course it would allow me to give more to my church to serve Jesus, our Savior, and bring Glory to His name! Giving all the bucks away to those in need is the only reason I will desire to be wealthy. Loving others is my desire! Peace within, graditude, and happiness for my families and I. Share funds with family members. Do some traveling, Replace any worn out items. Learn more benefits with money. I would leave my husband who is verbally and abusive, because I would now have the resources, I would help all my 3 children, one who is suffering from breast cancer and has two little ones. 2 and 4. Place money in accounts for my grandchildren (9). I would be able to visit my southern relatives and I would help a few friends that have been part in f my life forever, and my 3 sister’s. I would buy a small home for me, one near my children and grandchildren and one in a kinder climate for my MS. It is just a pipe dream, but one can dream. IPlan to help my children and grandchildren to get them a home, I have nieces and nephews I would like to help them out. First I plan to pay my tithes which I have not been able to do my home is in need of much repairs. Also I plan to give to charity organization. There are so Many way I would give back to ones who have help me. #’6900,3577 would be graciously appreciated so I can help the needy. Thank you and may God bless us all. and build a new home for my granddaughter,also help the rest of my kids!! CHARITY MY FIRST TO MY CHURCH AND MANY NEEDY PEOPLE. Then I would do work on my home, that was purchased 50 years ago by my beloved husband and I. He expired 14 years ago and I will prepare the home for anyone who cannot to purchase a home. Our son and daughter have homes, and Milton Street would be prepared for the needy. Praise God if I become a winner. My joy will be preparing this home for a needy family. If I win I will go visit my Daughter. Have not visited them since 2005. They live on the West coast and I’m on the East Coast. I will put money away for school, medical work, dental,and some other needed repairs. I would use the funds to endow two scholarships for students at a college a taught at and in memory of one of my daughters. I would also use part to help fund the construction of a new college building. my wife and I have been disabled for almost ten years now.we would not know what to do with all of these gifts.I play pch as much as possible hoping that some day it would happen.We live on a little of nothing. this would be a blessing from the lord if it would happen. I will keep on crossing my fingers. I would generously giving donation/charities such as Feeding America, St. Jude, Veteran injuries, Starkey Hearing Foundation, Ceda(electric, weatherization, gas, appliances), Homeless, church. It would deduct from IRS. I would need to buy a new car, home remodeling, devices and more God Bless.